Passwords are the key to almost everything you do online, and you probably have multiple passwords that you use throughout the day. Choosing hard-to-hack passwords and managing them securely can sometimes seem inconvenient. Fortunately, there are simple ways to make your passwords as secure as possible. Doing so can keep hackers from taking over your accounts, and prevent theft of your information (or money from online banking!). These 7 tips will help make your digital life more secure. 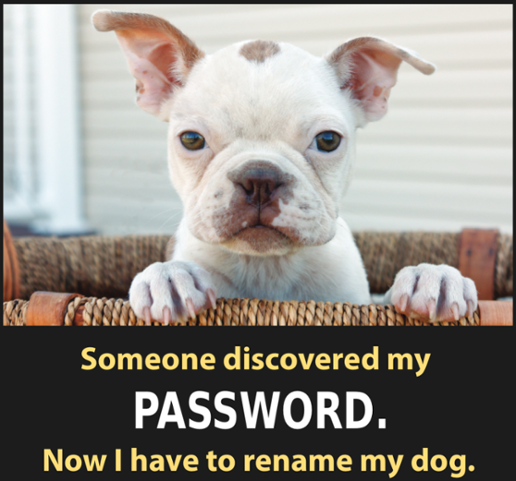 Never reveal your passwords to others. You probably wouldn’t give your ATM card and PIN to a stranger and then walk away. So, why would you give away your username and password? Your login credentials protect information as valuable as the money in your bank account. Nobody needs to know them but you—not even the IT department. If someone is asking for your password, it’s a scam. Use different passwords for different accounts. That way, if one account is compromised, at least the others won’t be at risk. Use multi-factor authentication (MFA). Even the best passwords have limits. Multi-Factor Authentication adds another layer of protection in addition to your username and password. Generally, the additional factor is a token or a mobile phone app that you would use to confirm that you really are trying to log in. Learn more about MFA and how to turn it on for many popular websites at https://www.turnon2fa.com/. Length trumps complexity. The longer a password is, the better. Use at least 16 characters whenever possible. Make passwords that are hard to guess but easy to remember. To make passwords easier to remember, use sentences or phrases. For example, “breadandbutteryum”. Some systems will even let you use spaces: “bread and butter yum”. Avoid single words, or a word preceded or followed by a single number (e.g. Password1). Hackers will use dictionaries of words and commonly used passwords to guess your password. Don’t use information in your password that others might know about you or that’s in your social media (e.g. birthdays, children’s or pet’s names, car model, etc.). If your friends can find it, so will hackers. MAKE IT A HABIT! For other effective cybersecurity habits, check out UC’s “Make It a Habit” webpage at https://security.ucop.edu/resources/security-awareness/habits.html. Credits: This article is based on content generously contributed by UCSB Information Security. Image courtesy of UCSC Information Security.